Semyon Dyatlov received his Ph.D. from the University of California, Berkeley (May 2013) under the supervision of Maciej Zworski. He applies the methods of microlocal analysis and dynamical systems to problems in scattering theory, quantum chaos, and mathematical general relativity. One of his research interests is scattering resonances, which are complex numbers generalizing the concept of bound states to open systems. Resonances appear in particular when studying long-time behavior of linear waves on noncompact mainfolds, or decay of classical correlations for chaotic flows. 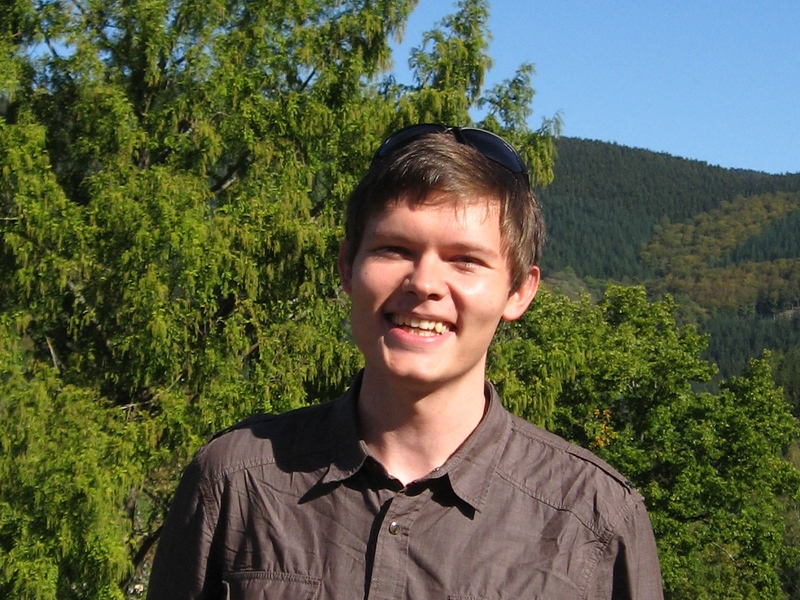 In his thesis, Semyon develops a new microlocal framework to describe asymptotics of resonances and phase space concentration of associated resonant states under dynamical assumptions motivated by the wave equations on rotating black holes. Semyon received his B.Sc. from Novosibirsk State University in 2008. He was a member of MSRI in Fall 2013 and is currently at MIT. Semyon began his five-year term on 1 July 2013.